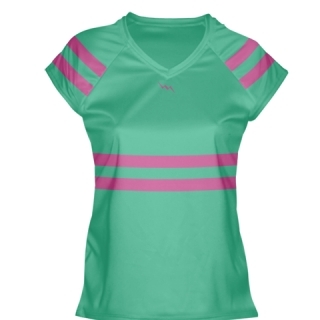 Shop our womens lacrosse shirts with unlimited colors, designs and patterns. The shirts are made of a polyester moisture wick material. Collars are v neck with capped sleeves. 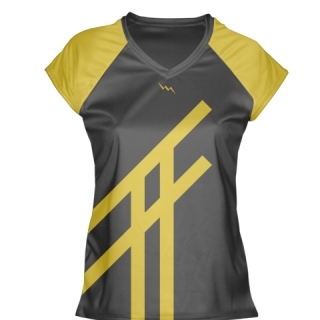 Add team names, logos, numbers and any personalization. Design online or have one of our in house Maryland based artists design it for you. 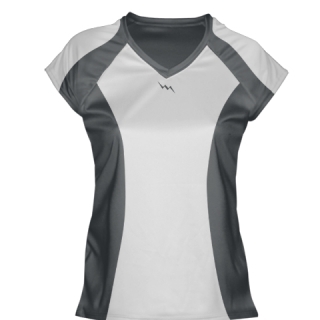 We make these shirts in adult and kids sizing. They are also available in long sleeve. You can add artwork to any and all parts of the garment. 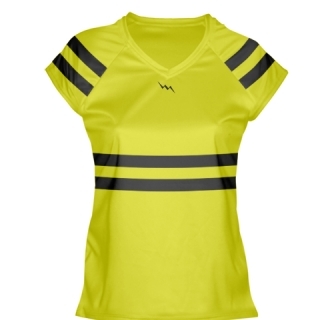 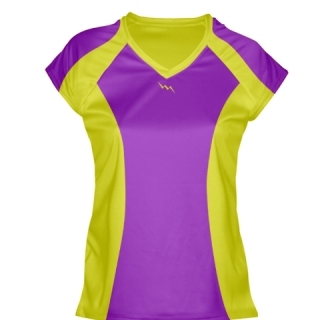 Womens lacrosse shirts are great for any sport. 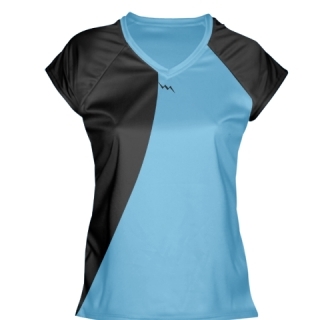 For more design ideas, be sure to also check out our blog. We have over 1000 pages of pictures and articles about the different teams and clubs we have outfitted across the globe. Normal production time on girls jerseys is about three weeks depending on quantity. Add a pair of custom girls lacrosse shorts for around $35. 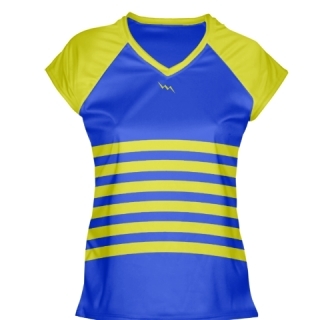 Call us today for your womens lacrosse shirts needs.